Your thoughts shape your reality and while they can’t control your external circumstances, your thoughts powerfully impact how you experience those circumstances. In difficult times, what you think about is even more important. 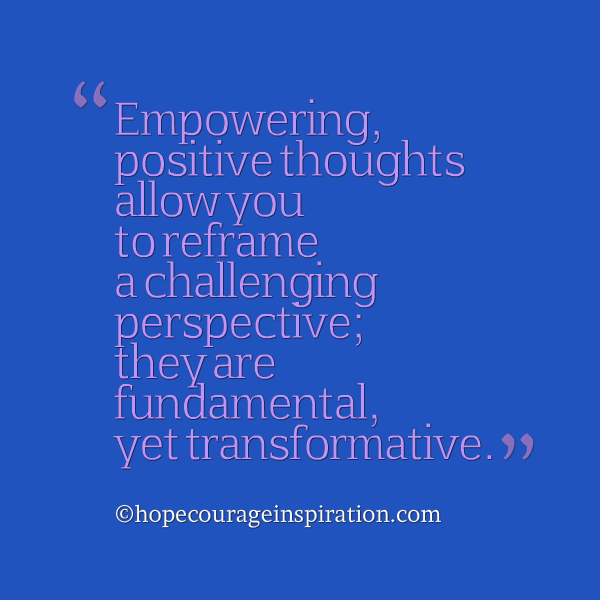 Empowering, positive thoughts allow you to reframe a challenging perspective; they are fundamental, yet transformative. A simple thought has the ability to create lasting peace, no matter the pain you feel, as long as you consciously choose what you think on most. Don’t allow your mind to wander aimlessly or internalize the world’s interpretation of life. Instead, think on the many blessings in your life – even the simplest things – and insert those in the forefront of your reality. Adopt an innocent, child-like faith in the positive possibilities that are all around you. Make the choice to reframe your perspective and watch your journey unfold with grace and a fresh vision of simple – yet profound – blessings. So true, Lora, and an important reminder to folks like me who get “blue” easily. So many of the olds I hear about with RA can trace the onset of the disease to a traumatic period in their lives, as I can. But whatever the events of our lives, we can live as “overcomes” with faith, hope, and love. It makes a difference. 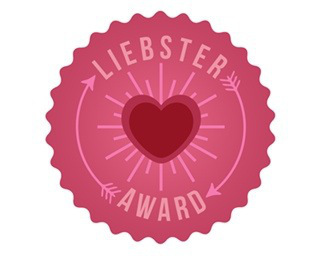 Thanks so much for doing your part to inspire and encourage. So many of the folks I hear about with RA can trace the onset of the disease to a traumatic period in their lives, as I can. But whatever the events of our lives, we can live as “overcomes” with faith, hope, and love. It makes a difference. So true – I can as well! And you’re right – as long as we focus on what’s possible, there’s no stopping us. Thank you for visiting and reading. ❤ Big, but gentle, RA hugs.